I have a couple of green ash crotch pieces in my woodpile, so I sliced them open a couple of days ago to see what the figuring was like. 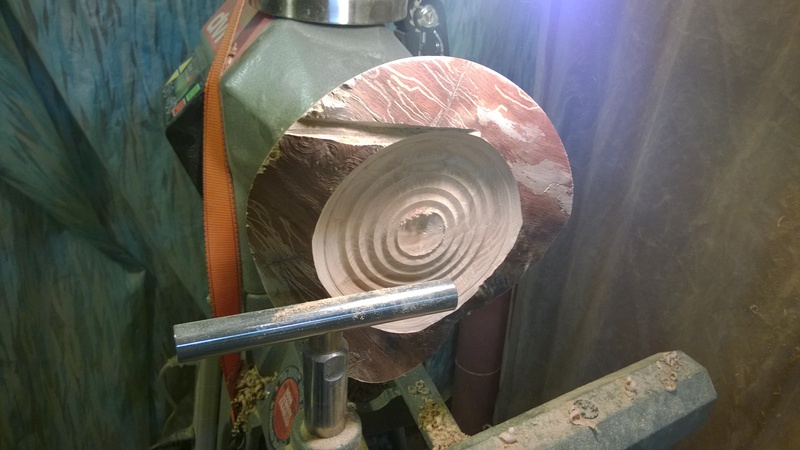 Here’s the first piece, mounted on the lathe. Step one is to flatten what’s going to be the bottom and turn either a tenon or a recess on the bottom for the chuck to grip once you get the basic outside shape made. After getting the outside shape defined, I sanded it to 400 grit, and then flipped it over and started hollowing it out. After getting more wood removed, you can start speeding up the lathe, and things begin moving a little faster. 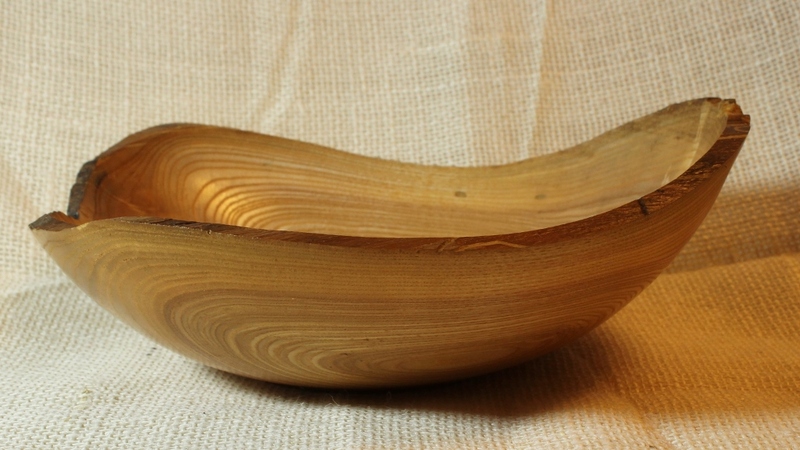 And here’s the finished bowl, sanded inside and out to 400 grit, and finished with two applications of Danish oil. 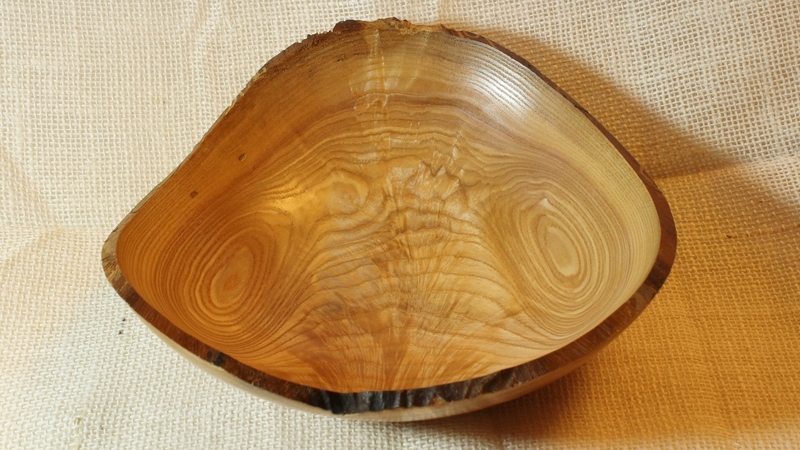 I call it a Heart bowl, because the overall shape is like a heart–more anatomical than Valentine’s Day. 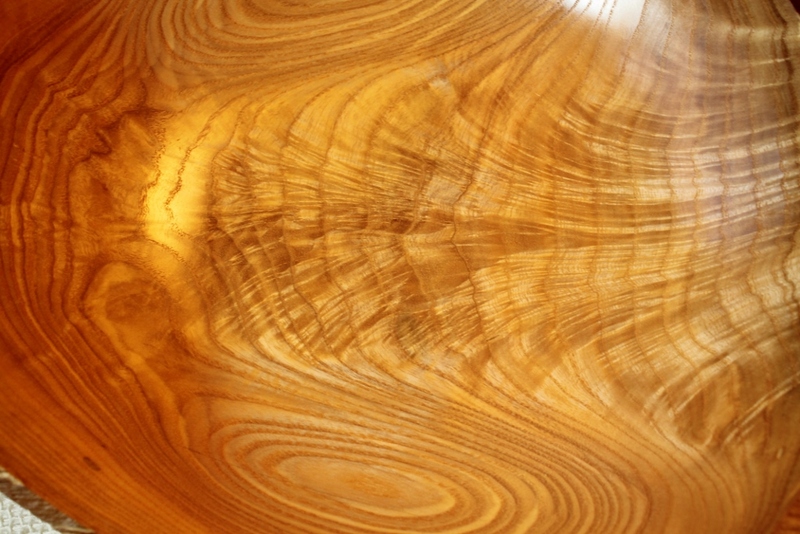 This entry was posted in bowls, green ash, natural edge. Bookmark the permalink. 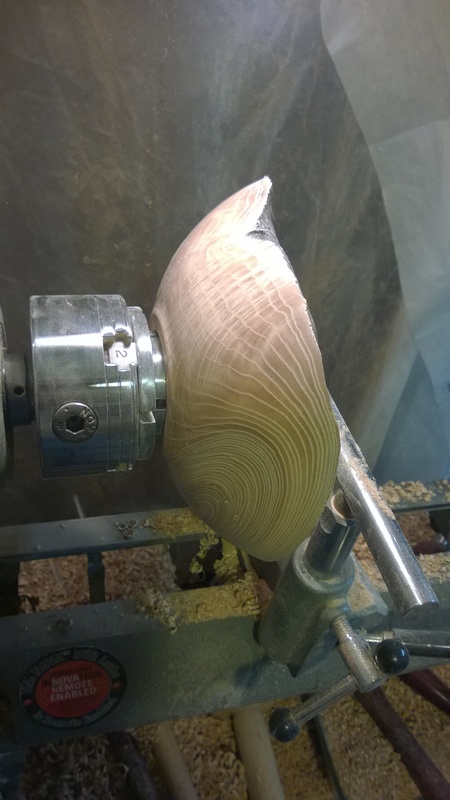 So if you spin your heart bowl too fast on the lathe it goes thumpity thumpity thump? Oh, yeah. I’ve had a couple of pieces come flying off lathe. Fortunately, I was not in the line of fire, but it gets your heart racing.